The brave men and women of the Texas Rangers truly are the Pride of Texas, bringing justice to the Lone Star State’s most foul miscreants, whether they’ve crawled out of a grave or a nightmare. Players attending ChupacabraCon this May 3-5 will have a chance to influence the Deadlands/Doomtown storyline through a series of events that begin at GenghisCon (Denver, February) and conclude in Tombstone (Arizona) in October of 2019. Top of faction cards, Top 4 mats, Top 8 Legend card, and a badge will be provided for the main event! Participants in the swiss only storyline event and greenhorn events will receive additional promos to help round out their collection, or get new players receive some new cards to get started in the weird west! While the following events are posted on the ChupacabraCon website (https://tabletop.events/conventions/chupacabracon-vi), we will have additional gatherings per player interest. After all folks, we do this for you, the players, so we are open to some multiplayer or any other activities you would Pine Box to participate in throughout the weekend. We are very much looking forward to seeing you all in May! Badges can be purchased here: https://tabletop.events/conventions/chupacabracon-vi/badgetypes. The Wyndham hotel can be contacted directly to get the convention discount code for the rooms (844-285-4272). Details: Following the success of the relaunch of Doomtown, Pine Box and Pinnacle Entertainment are kicking off our ChupacabraCon events with an open play environment for players new and old. Please join our great community for a few rounds of casual play or learn to play Doomtown for the first time! You’ll receive some fancy new promos and play for previously released promotional items from organized play. 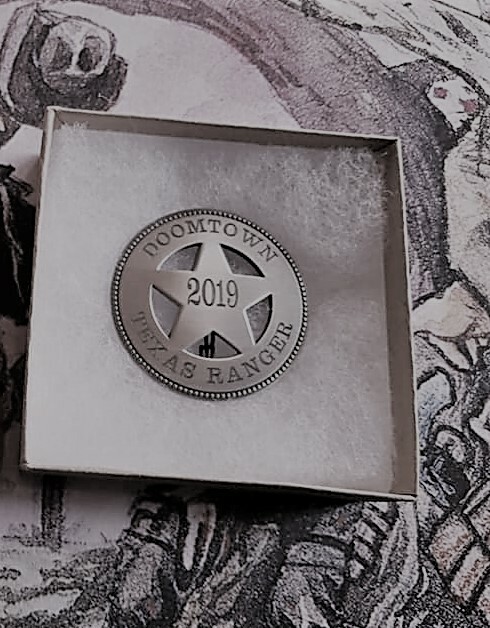 Players in this Doomtown Destination Event will vote to choose which faction will play a major part in assisting the Texas Rangers in their fight against the Reckoners. 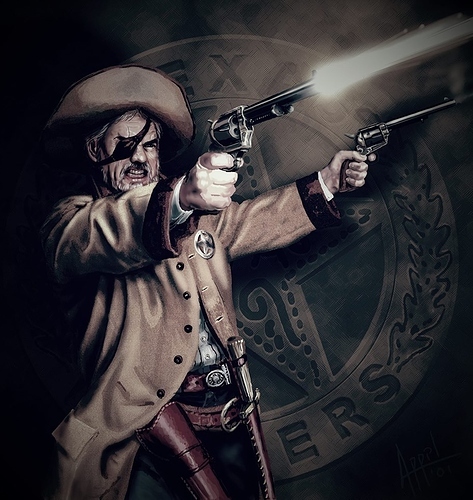 The winning player will choose a dude that will be a pivotal part of the story, in joining the Texas Rangers in the fight against evil in the Weird West. 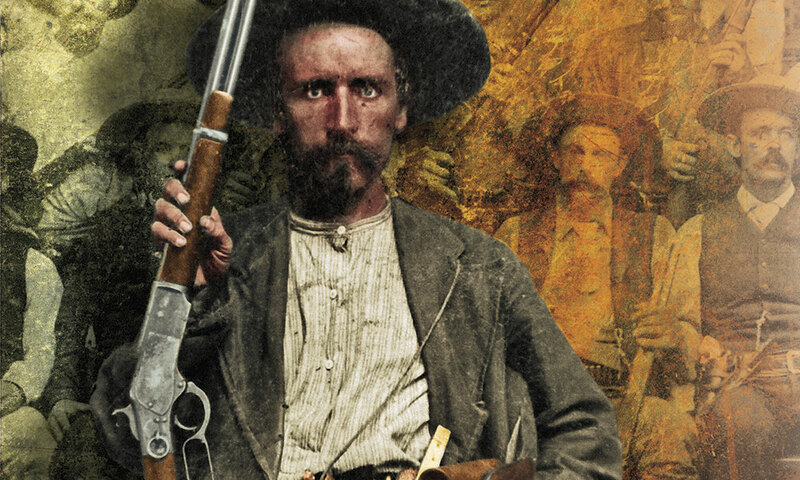 This is part II of III in the 2019 Doomtown Destination Series, beginning with Act I: The Agency at GenghisCon and will conclude in Act III: The Twilight Legion in Tombstone on October 26, 2019. Players new and old are welcome to join Pine Box Entertainment in this epic event that will involve all players voting on a faction that will shape the fiction of this trilogy. Practitioners of black magic find it a little easier to summon their powers. In Doomtown game terms, all Hexes are cast at 1 less cost. Blessed get hit the hardest by the metaphysical dusk. Where once the powers of light bestowed miracles like rock candy, now they’ve been forced to retreat somewhat. By necessity they’ve become selective, doling out arcane help to their chosen with less regularity and variety than they did in the past. In Doomtown game terms, all Blessed who fail a Miracle pull are then booted. The choice is yours. Any player with a deck containing three or more Fearmongers and/or 1 cost hexes, or a Servitor will be playing for the side of the Reckoners, while all other decks will be on the side of the Heroes of the Weird West. Players matchups will help influence the finale of the Twilight Protocol Trilogy that began at GenghisCon and ends in Tombstone, Arizona In October, 2019. As with GenghisCon, the fiction for these events will be told live at the convention through a Deadlands presentation by the Saving Throw WildCards crew! Had a blast in Manchester last year mixin' roleplayin' in with the card slinging. 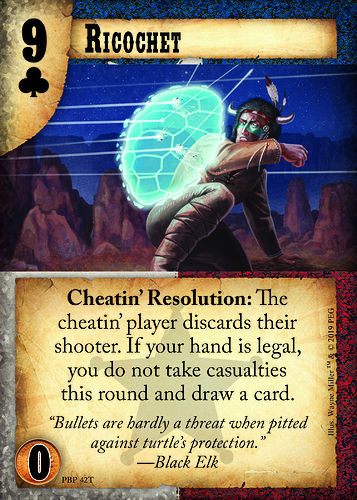 With new cards for Doomtown (assumin' all goes well) and new Savage Worlds fer Deadlands (assumin' that's what GMs are runnin'), looks like this con is going to be packed full o' more action than a deck full o' clubs! Just under three months, folks! Hope to see y'all there! This May the action continues from GenghisCon into ChupacabraCon! Take a gander at this con's version of Ricochet! Before joining us at ChupacabraCon, check out Part I of the fiction event that will continue at the convention! 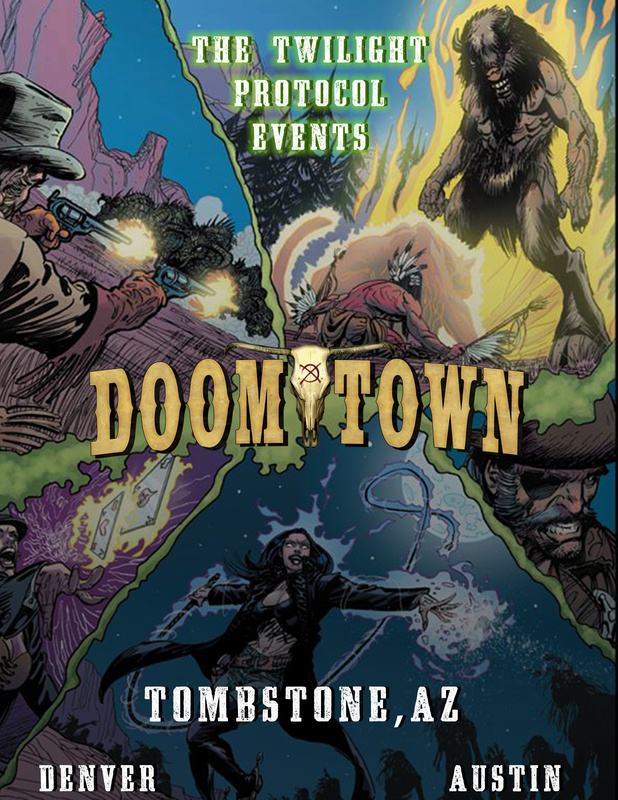 Also check out the Facebook group for Texas Doomtown! And folks remember for the Sunday Twilight is Upon Us Event, Good currently leads over Evil by 6 points. Choose a side and join in on this special variant event! On Friday at 2pm will be the live Deadlands show of the fiction for Act II of the Twilight Protocol Trilogy! For those attending the Learn to Play/Greenhorn, we'll be set up before and after the event as well so feel free to come by and join us for some games!